BOZEMAN, MONTANA – BZN International Film Festival is pleased to announce a significant partnership with Montana State University. The partnership includes welcoming MSU onboard as a Lead Sponsor for the June event, and the establishment of a fund for MSU students of film and photography. As part of the Partnership, the Bozeman Film Celebration has established a fund for program improvement and facilities to support MSU Film School students’ success. The “MSU College of Art and Architecture, School for Film and Photography Fund ” will begin supporting students in the MSU Film School in late 2018. MSU has joined BZN as a Lead Sponsor for the inaugural Festival and will host screenings and events throughout campus during the June 7 – 10 event. The MSU Film School boasts highly accomplished faculty and alumni, including multiple Oscar™ and Emmy Award-winning writers, directors and producers whose work has been distributed by major studios, PBS, Netflix, National Geographic and others. MSU School of Film and Photography faculty and alumni have screened their work across the festival circuit including Sundance, Slamdance, SXSW and Tribeca Film Festivals. Theo Lipfert was named the Director of MSU’s School of Film and Photography in 2016 after teaching in the department for more than a decade. 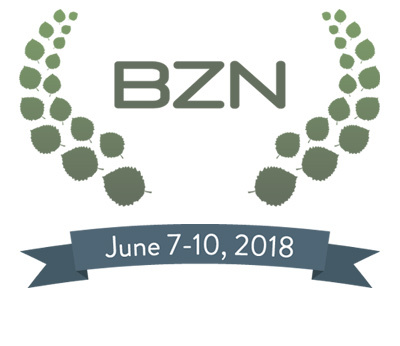 While BZN is an international festival, we welcome statewide submissions to bring a local flair to the event. Filmmakers are encouraged to visit the BZN FilmFreeway and Withoutabox listings.